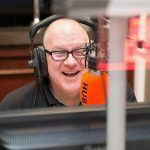 We were delighted to have BETT legend and Schools Radio broadcaster Russell Prue back on our stand this year to host NetSupport Radio, bringing you an exciting mix of entertaining and informative interviews from top celebrity guests, music, chat and interactive slots. Russell has presented at every BETT since 1985 and has seen many changes in the technology landscape. He’s worked at the BBC, RM and the Department for Education and is well reported and a respected opinion leader. Catch up on everything that happened at Bett 2019 by listening to our NetSupport Radio podcasts, which were broadcast live from the show every day from stand D130. You can also catch-up on news from NetSupport Radio at GESS and Bett 2018.